Right now at the Disney Store save an extra 40% Off Toys, Plushes, Sleepwear and More when you use code BONUS40 at checkout! 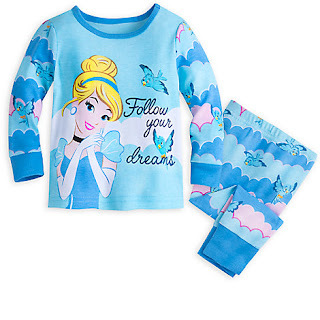 Check out this Cinderella PJ PALS for Baby that is only $10.17 after discount! Spend $50+ and get FREE Shipping when you use code SHIP50 (codes can be stacked).